AAC Animals Bird Robin brackets painted colour color19 Agrell woodcarving. 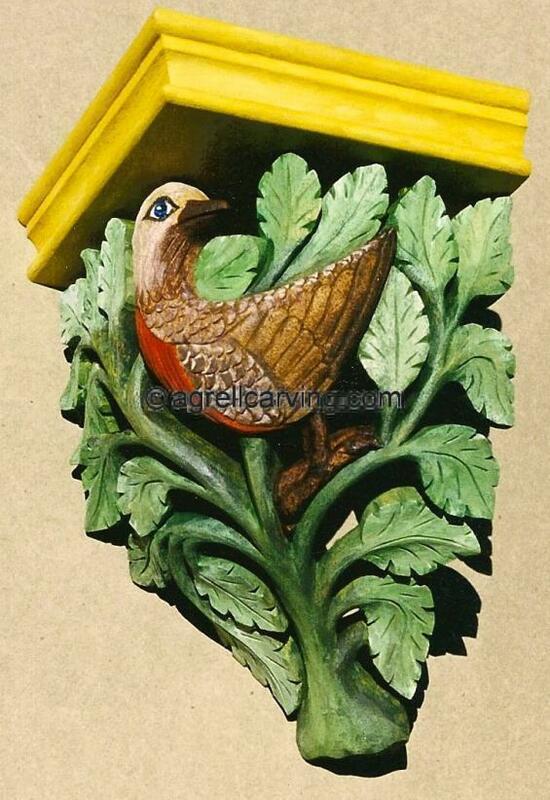 Description: Carved and painted wood robin bracket. By Agrell Architectural carving. Read more about Bird Bracket.